Apple iPhone 7 Plus is undoubtedly one of the best iPhones out there. A few weeks after the official launch of carrier versions, Apple released iPhone 7 Plus model A1661 which is considered more or less a global iPhone that works with most service carriers in most regions. iPhone 7 Plus model A1661 is the only iPhone 7 Plus model available in sim-free version. Below is a detailed review of iPhone 7 Plus A1661. 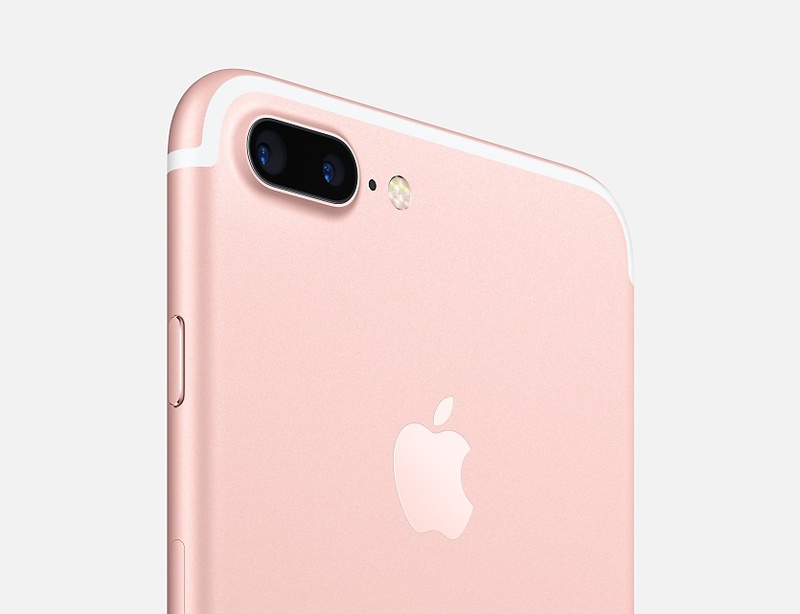 iPhone 7 Plus including model A1661 comes in three flagship colors: Rose Gold, Black and Jet Black. The Space Grey color has been replaced with the Jet Black but more on that later. There is no apparent difference in the design of iPhone 7 Plus compared to iPhone 6 Plus. At first examination, they look the same with their aluminum frame body with rounded corners and curved sides. What’s hidden is the fact that iPhone 7 Plus is a more durable iPhone with IP67 rating for dust and water resistance. This means that you can use your iPhone 7 Plus in rain, in your bathtub, on beach and can be submerged in up to 1 m of water without any harm. 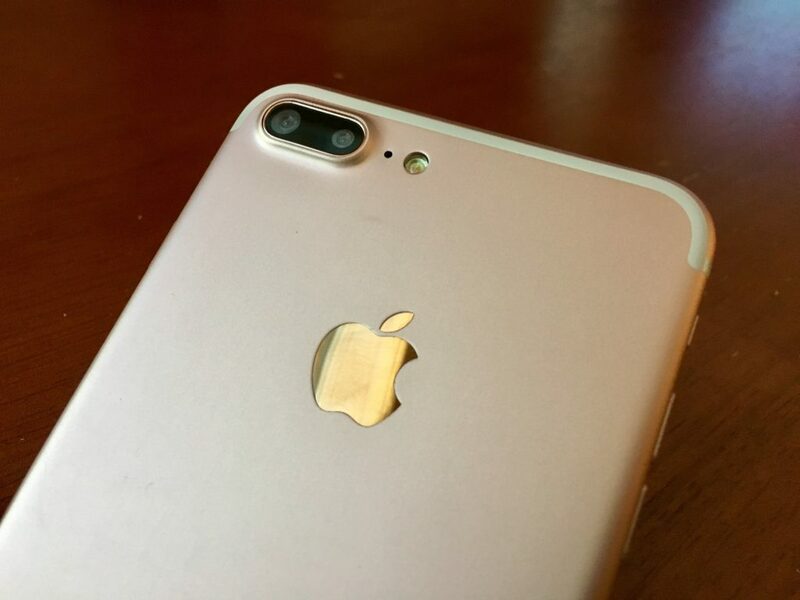 The first noticeable difference is undoubtedly the dual-lens camera adorning the back of your iPhone 7 Plus. This is one of the few features that make iPhone 7 Plus a preferred choice of many. On the other hand, one can see a subtle design change in the placement of antenna bands. Antenna bands at the top and bottom edges of the back of iPhone give it a sleeker cleaner look. The most disturbing for some and in my opinion, a daring change, brought about by Apple in iPhone 7/7 Plus is the removal of 3.5mm headphone jack. Unacceptable for many, yet it is probably a step towards the wireless future that we’re becoming more and more inclined to. This feature alone brought a lot of controversy and can be a deal breaker for many dedicated iPhone users. To alleviate the situation, iPhone 7 Plus is packed with an adapter. You can use your wired headphones with this adapter to use it with iPhone 7 Plus. The downside being you can’t charge your iPhone 7 Plus and listen to the music with your wired headphones at the same time. Apple has also introduced AirPods, wireless headphones equipped with Bluetooth, to go with your iPhone 7 Plus without headphone jack. AirPods are built to wirelessly connect with any Apple device in its vicinity. As mentioned earlier, Apple has introduced a new Jet Black color for its iPhone 7 Plus iPhone line. As promised Jet Black is the blackest black that you can get. But to be honest, it clings to your fingerprints like no other. After just a few moments of handling, our Jet Black iPhone 7 Plus model A1661 was not as shiny as it was when we brought the beauty out of the box. The display of iPhone 7 Plus has received an upgrade as well. The display as promised is the brightest display ever to adorn another iPhone in the longstanding history of Apple. It is a 5.5-inch screen with the fullHD resolution of 1080 x 1920 and a pixel density of 401ppi. The LCD screen of iPhone 7 Plus is 25% brighter than the previous line of iPhone and other Apple products. It supports the P3 color space for a wider color gamut and supports cinematic color gradient. This is the best IPS LCD display on any iPhone as well as any other smartphone. The contrast ratio is high with low screen reflectance and record color accuracy. But, still one can see the limitations due to the absence of AMOLED display. One can just imagine the colorful and vibrant experience the iPhone 7 Plus could afford with these specs and an AMOLED display. Quick and accurate fingerprint scanner; this has to be the best feature as unlocking your smartphone with fingerprint often becomes daunting. Mostly, the success rate is less than 80% but iPhone 7 Plus fingerprint sensor worked flawlessly for me and was one of the fastest in my experience. Just like the headphone jack, the physical Home button has also lost its appearance in iPhone 7 Plus. This is another important upgrade. Apple has replaced the physical Home button with a touch pad with Force Touch technology. Underneath the Home button is the Apples’s Taptic Engine that gives out perfect vibrations when you touch the Home button icon. These vibrations perfectly simulate the feeling as if you have actually pressed a physical button. You can choose the level of vibrations from within the Settings app of your iPhone 7 Plus. You can choose from 3 modes that correspond to 3 different levels of vibrations. This simulated home button may need some getting used to for many people but it works seamlessly and became an instant favorite for me. IPhone 7 Plus is equipped with the latest iOS 10. IOS 10 in itself is a powerful improvement of Apple’s dedicated operating system for smart devices. There are some minor changes in terms of apps such as Message app, Siri, Widget page, Home app, notifications, etc. The most significant changes brought about by iOS 10 are its security aspects. The apps and games optimized for iOS especially iOS 10 work best on iPhone 7 Plus especially due to its innovative A 10 Fusion Chip and the brightest display as discussed above. For best experience, always try to find the apps and games from App Store or else Google Play Store. You will find performance of apps on iPhone 7 Plus smooth and fast. When tested with many heavy 3D games in iPhone 7 Plus, the game experience was one of the best I ever experienced. The frame rate was unbeatable and there was no hiccup or freeze. This is due to the hardware upgrades that iPhone 7 plus has received. For one iPhone 7 Plus has A10 Fusion Chip with Quad core processor and 3 GB of RAM together make iPhone 7 Plus the first iPhone to get the most powerful chip ever on a smartphone. Tests confirm that A10 fusion chips outperform Snapdragon chips that typically power Android flagships. IPhone 7 Plus has the same stock apps with not much of a difference. Though Message app has many new features and likewise other stock apps have some improvement thanks to iOS 10. But if you ever try to replace the ancient Calendar, Maps or Mail app with from the similar ones on Google, you’d be highly disappointed. This is another area of improvement as far as iPhone 7 Plus model A1661 is concerned. Previous iPhone generations had some problems with signal receptions but not anymore. I checked in areas of poor coverage and yet I was happily surprised that there was not a single incident of service interruption or call drop. To my utter relief, the voice quality was also smooth and clear even in areas that previously dead spots for my old iPhone. This is based on my experience with iPhone 7 Plus A1661. However, I’ve received some messages and according to a research, not all iPhone 7 Plus owners had the same experience. In general, its noted in the research that the LTE performance of iPhone 7 Plus is worse than that of Samsung Galaxy S7 Edge. However, I found nothing to complain about. This was one feature I was most excited about and couldn’t wait to lay my hands on. 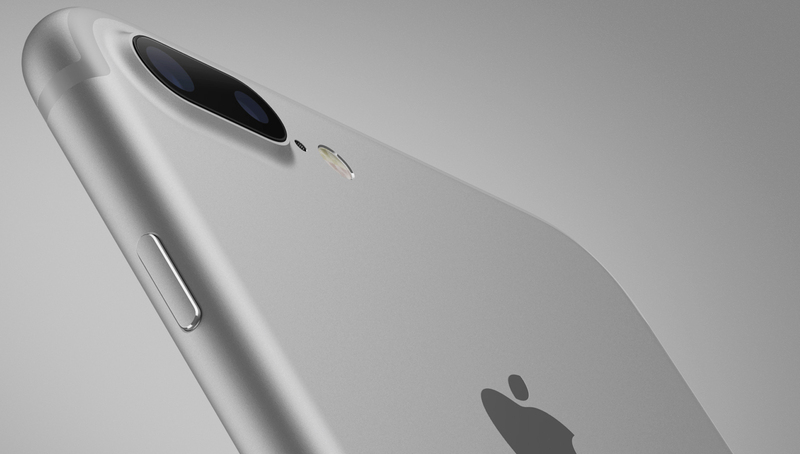 According to Apple, the dual lens camera of iPhone 7 Plus is equipped with one wide-angle lens and the other telephoto lens. However, you must understand that it’s not like you can switch from one lens to the other by simply increasing the magnification. For example, if you tap on the magnification button to increase the zoom function but cover the telephoto lens, you will still be able to take the picture from the wide-angle lens. As stated you don’t have a button to flip that allows you to switch between the two lenses manually. But, you may achieve this by using a third-party camera app. Wide-angle lens with f/1.8 aperture. Telephoto lens with f/2.8 aperture. Digital Zoom up to 10 times. What happens is that iPhone 7 Plus decides whether to use wide-angle lens or telephoto depending upon the lighting condition of the scene and the subject. When you increase magnification, the camera uses telephoto lens in ordinary lighting. But if you use increase magnification to use telephoto lens in low lighting, the camera flips to wide-angle lens to capture more light. This is due to its larger aperture value as compared to telephoto lens. In proper lighting however, camera uses telephoto lens in 2x optical zoon and this is where the true result of telephoto lens can be seen. There isn’t such a huge difference in the image quality captured by iPhone 7 in comparison to iPhone 6S Plus. The dynamic range is better, as is the details and true color capture which especially comes to life due to the better display specs discussed above. Low-light images are much better owing to the new image processing chip that reduces noise and artifact in the images. There is neck to neck competition in terms of image quality with the results from Samsung Galaxy S7 Edge or Google Pixel. 4K videos captured with the dual camera were a little disappointing to say the least. There was visible noise even though I recorded in good lighting condition. But all in all, compared to the earlier iPhone, camera on iPhone 7 Plus has come a long way. The battery life was far from disappointing. It last me all day even though I’ve been busy with it. It drains faster if you use Google Hangouts, make FaceTime calls or play games bur for an average user, the battery may even last you to the end of the next day. The time it takes to charge to a full battery is just another story. If you charge at 15% of battery, it might take you around 3 hours to get a full charge. This is quite a lot of time as compared to some of the Android smartphones. iPhone 7 Plus A1661 stands no doubt among the best smartphones out there. But compared to iPhone 6 Plus, there are little changes. If you consider not upgrading you won’t miss much. But, still Apple iPhone 7 Plus A1661 model is the most powerful smartphone or phablet especially in the absence of Samsung Galaxy Note 7 as a competitor.